I love minky. It is for sure one of my favorite fabrics. 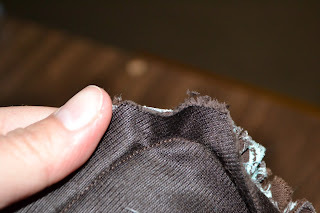 Not necessarily to sew because it is so slippery but because it is super soft and warm. 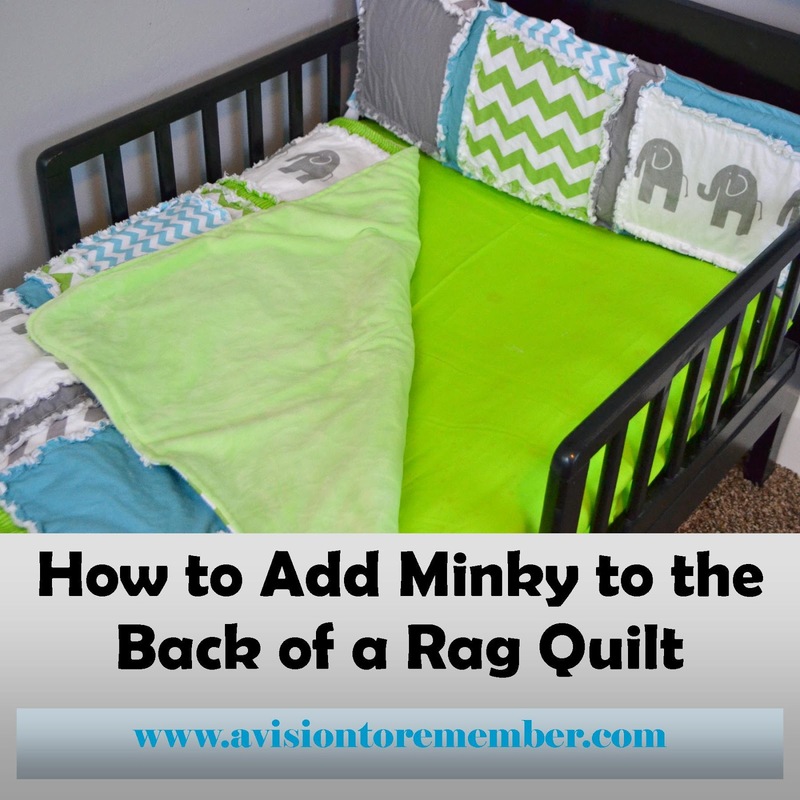 My girls will only use their rag quilts that have minky on the back. 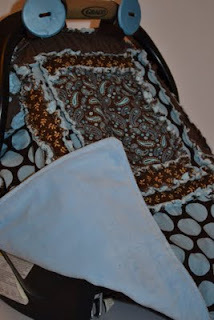 I don't like sewing minky into a rag quilt because the edges don't fray. Its just a personal preference of mine. But I still love to have minky on the back of my quilts. I have had several requests to add minky to the back of car seat tents or rag quilts lately so I thought I would take a picture while I was doing one for you all. 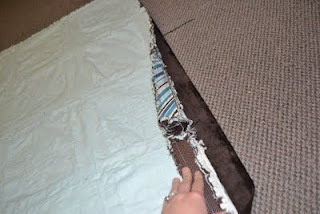 This should work with all types of quilts there is one small place that could be a problem depending on the look you are going for. I will let you know in that step. 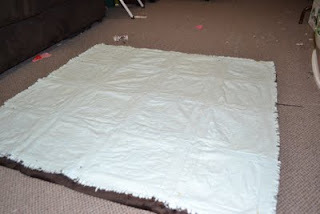 This will also work with adding ruffle fabric (or any other fabric) to the back of your quilts. 2. Cut a piece of minky the same size. Minky is great for this because it is so wide (60 inches) So most of the time you don't have to piece pieces together. 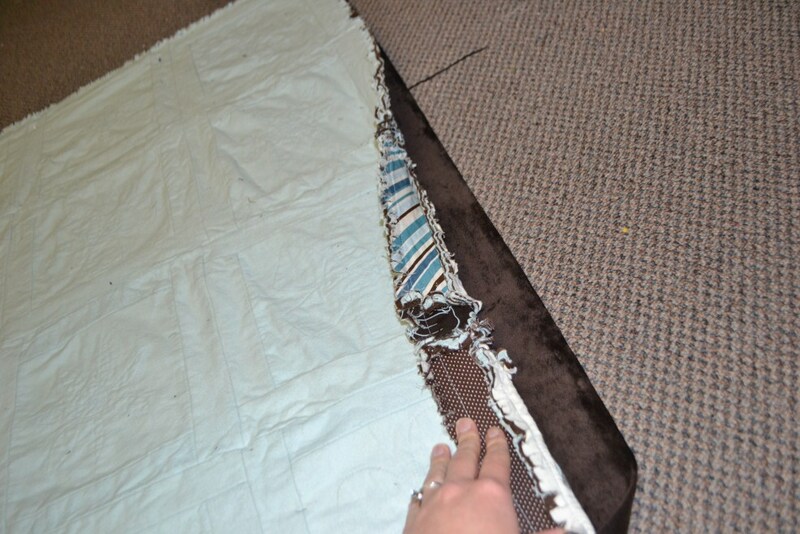 Lay the minky on the ground with the soft side facing up and the quilt on top with the back facing up. Right sides together. Pin in place with as many pins as you need. I pinned 4 times on each side. A walking foot is really helpful with sewing with minky if you have one. 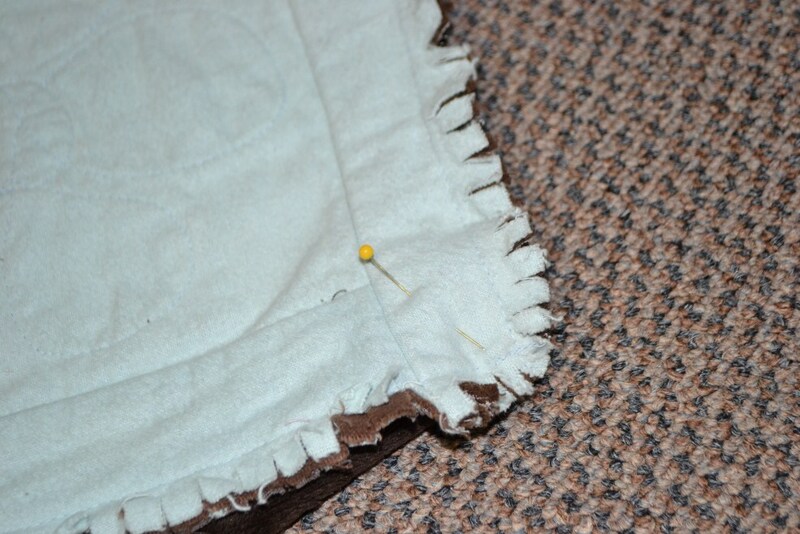 Then sew around the outside of the quilt with about a 1/2 inch seam. You could use a smaller one but I like to use that large of one with Minky because it has a tendency to move on me. 3. Now is the part that could be complicated with a regular quilt. Lay the quilt flat on the ground and find a couple of raggy seams in the middle of the quilt. Pin the quilt to the minky. 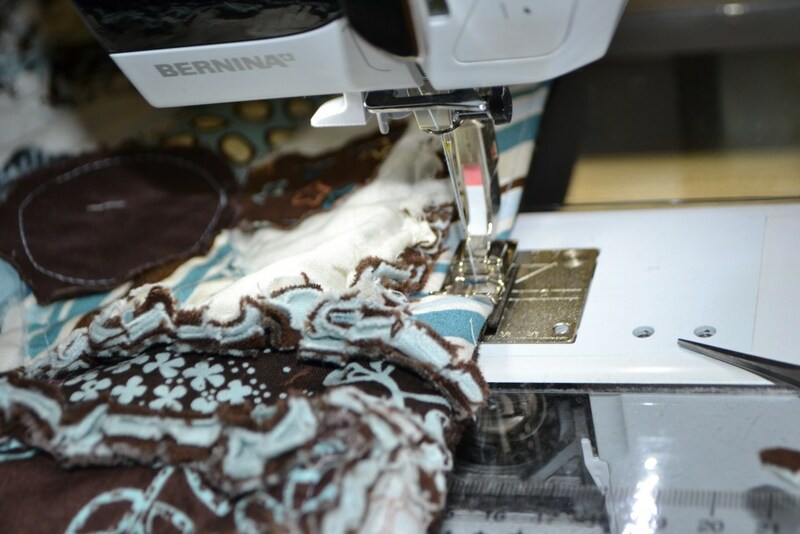 I sew along those seams through the quilt and the minky. I do this to hold those 2 fabrics in place. If you want you could quilt a pretty design in a few of the squares. This step is not necessary but keep in mind that those 2 pieces of fabric will not be secured to each other. minky is super snuggly! 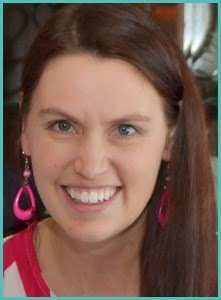 Thanks for the tute! I love the elephants on that toddler bed, the set is gorgeous. Minky just makes it better. Thanks for sharing. Hello from The Creative Exchange.